I am so excited at how well my cabbage is doing! 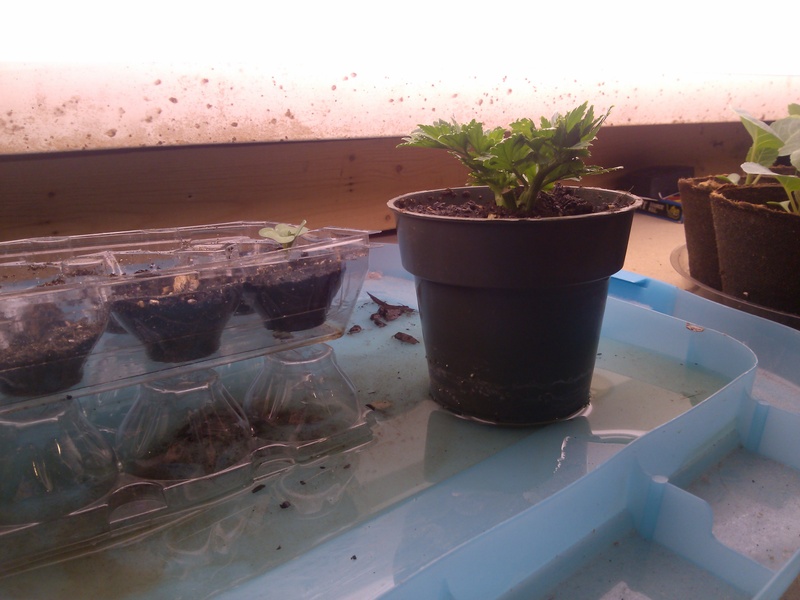 Next week I hope to start them outdoors in a cold frame. I will have to start by leaving them outside on nice days for a few hours at a time, just to harden them off. Cabbage likes the cold so I hope the weather warms up at least to 50. On the flip side, my celery has seemed to stop thriving. 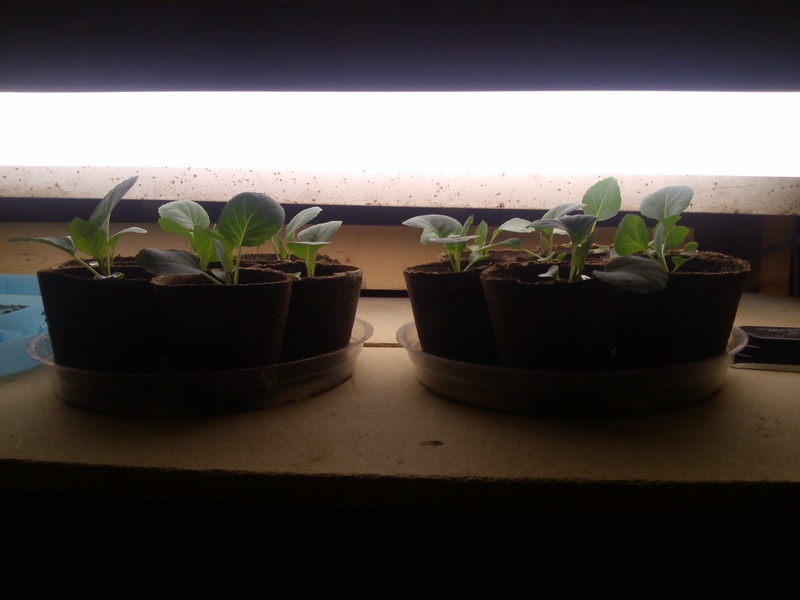 I’m hoping that raising up the grow light will allow it to grow taller. I’ll report back next week with pictures of my cold frame. We have an old window and I am going to get some hay bales for the “walls”.